There were 130 starters and 94 classified finishers. 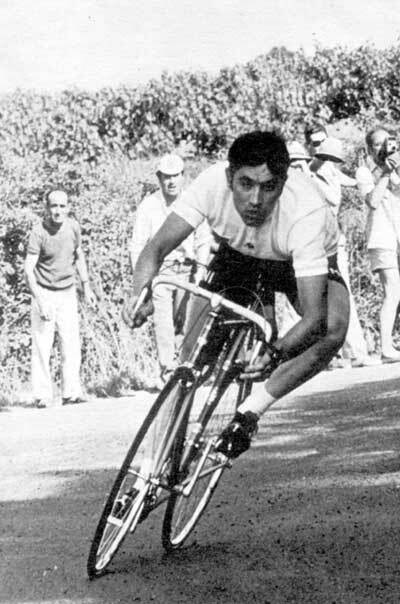 Eddy Merckx seemed to be cruising to his third consecutive Tour victory, but in stage 8, Luis Ocaña showed his cards, winning the climb to the top of Puy de Dôme. 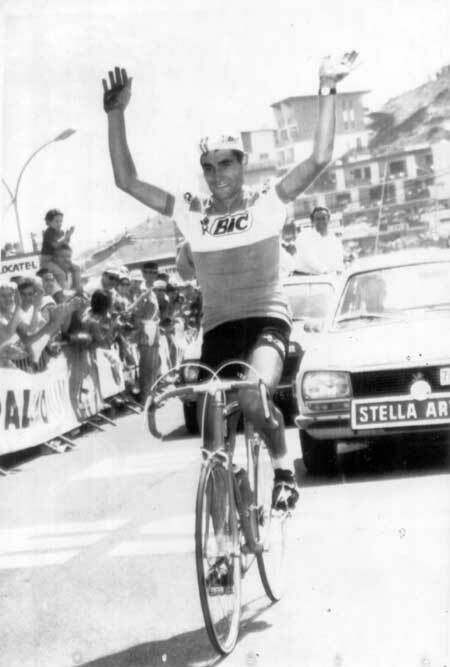 Then in stage 11 Ocaña left Merckx almost 9 minutes behind, making the Spaniard look the likely winner. 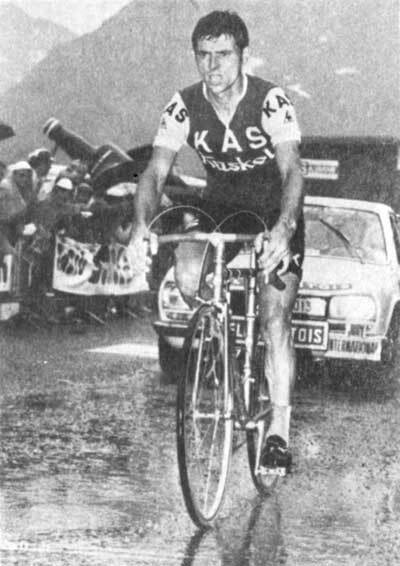 In stage 14 Ocaña crashed in the rain while descending the Mente, forcing him to abandon. 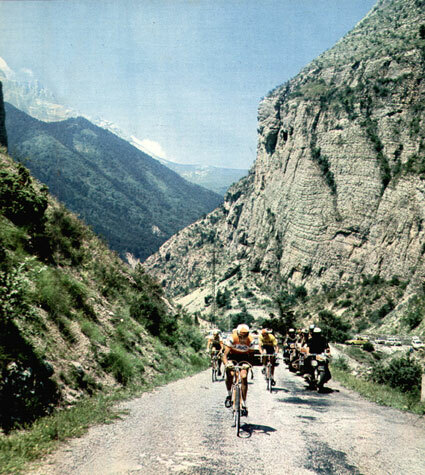 From there, the race belonged to Merckx. Jos Van der Vleuten s.t. 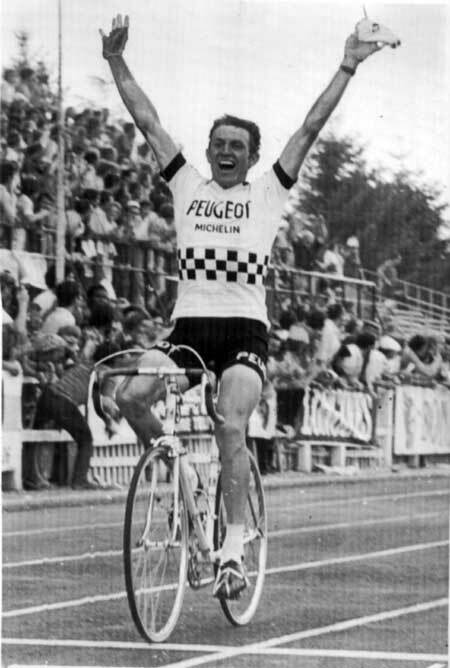 Eddy Merckx leads his Moltenis to a convincing prologue win. 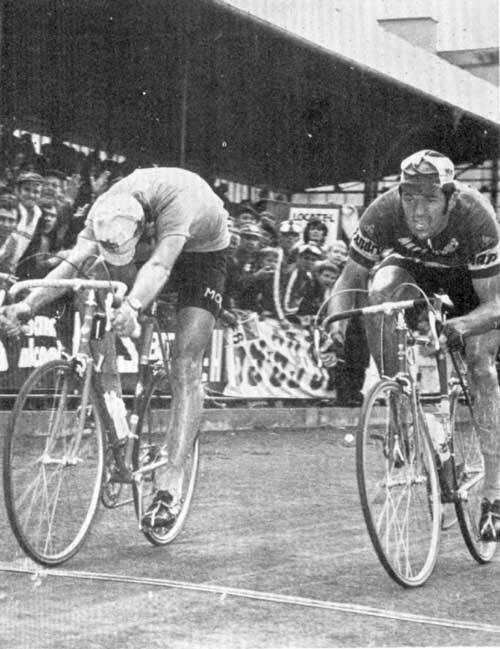 The Cannibal edges out Roger de Vlaeminck for victory in stage 2 in the Strasbourg velodrome. 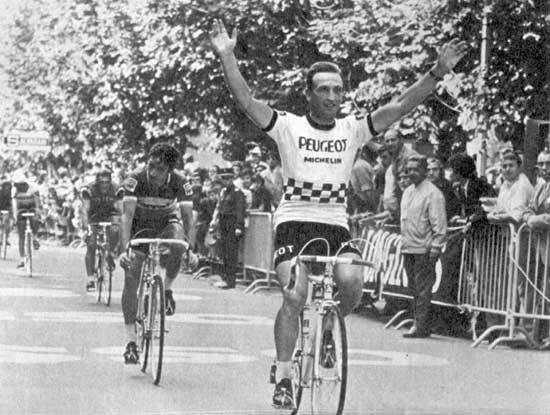 Walter Godefroot wins stage 9 in St. Etienne. Just behind him is Wilmo Francioni of the Ferretti squad. Ocaña wins stage 11, almost 6 minutes ahead of second place van Impe. 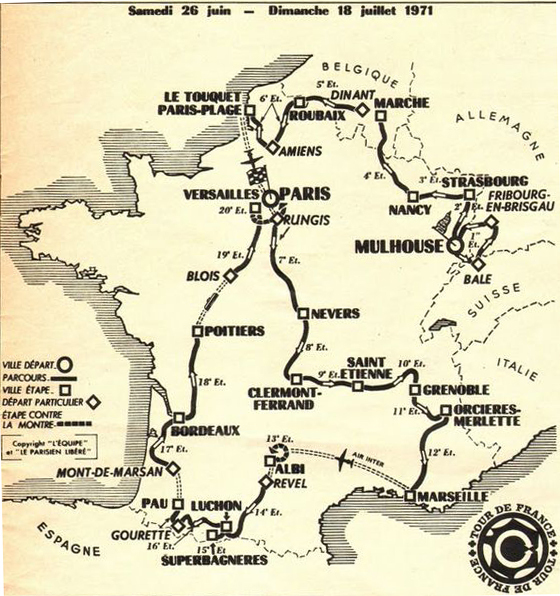 Merckx time-trialing to victory in stage 13. Ocaña would retain the Yellow Jersey. 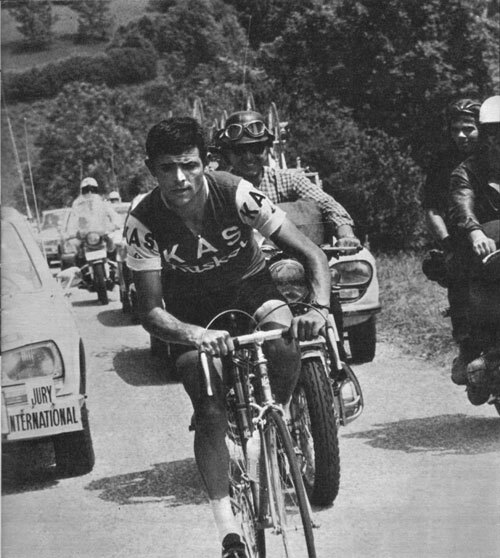 Stage 15: And here's van Impe chasing, about a half minute behind Fuente at the end of the stage. 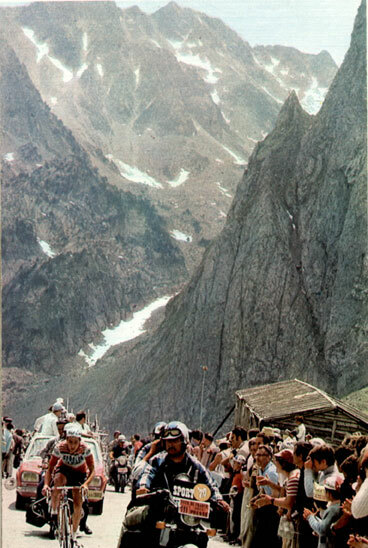 Spanish climbing great Juan Manuel Fuente won the stage 15 finish at Superbagnères. And Jean-Pierre Danguillaume wins stage 18.